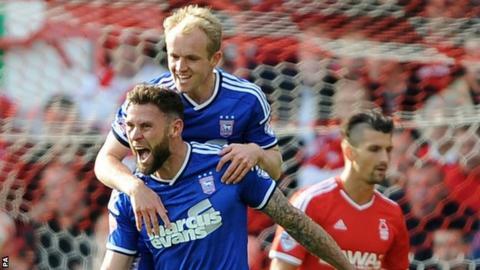 Ipswich Town midfielder Jonny Williams has said he is happy to be a target for opposition players, but would like a bit more protection. The 21-year-old playmaker has received some strong tackles since joining on loan from Crystal Palace last month. "Maybe cautions could be given out a bit more," he told BBC Radio Suffolk. "But it's not for me to say, referees and linesmen do their jobs. It's part of the game and something you have to deal with and get on with." Williams had recovered from an ankle knock to play in Saturday's 1-1 draw against Blackburn, Town's fourth consecutive draw amid a run of eight games undefeated. The Wales international is in his second spell at Portman Road and has featured in a more central role, enabling him to see more of the ball. His loan at Ipswich at the end of last season coincided with a strong finish to the campaign, although his current spell is set to end in the new year. "We'll have to see what happens in January and what the Palace manager wants to do with me," he said. "But it'll be great to be around the top six at that stage and we can push on. If we have a similar finish to last season we can be higher up the table."